Mobile marketing is the future. Any marketer, or marketing firm worth their weight in invoices knows that the key to future success is adapting to and optimizing for the mobile market. When you’re in a public place, you don’t have to look far to find someone pre-occupied with a smartphone. This very same occurrence that you see on a day-to-day basis also happens at home, with tablets. Tablets and mobile devices are taking over the market and that makes for an exciting piece of Internet history that many are recognizing, but few are really cashing in on. The following 7 statistics will give you an idea of just how big this is, and how much bigger it’ll be over the next few years. Pay close attention. More than ever, Americans are attached to their devices. So much so, that they take the device with them wherever they go, even the bathroom. While the majority of time spent on mobile devices is checking email, browsing social media sites or playing games – this leaves a crap load (see what I did there?) of time to reach your potential customers. This same stat was less than 10% in 2002. That’s mind-boggling growth in just over 10 years. Even more astonishing is the fact that 52% of Americans user their devices while browsing in-store in order to research the product online. This type of behavior will ultimately lead to an increase in the importance of online reputation management, fair pricing and transparency from retail outlets. This should surprise no one. Mobile users are shoppers, and we’ve got data to prove it. Smart retailers (like Target) are recognizing this trend and incentivizing the use of mobile phones within the store with discounts and coupons targeted at mobile users. Many restaurants are doing the same thing by offering a free drink, appetizer or a coupon code to those that check in using Foursquare, Yelp or Facebook. By 2014 mobile is predicted to overtake desktop Internet usage. This is largely based on the developing world having access to cheap smartphones and data plans as opposed to having to buy a laptop or desktop device to access the Internet. The rise in 3g and 4g data in countries like India and China proved to be a massive shift in the dynamic of mobile web usage due to the poor infrastructure in most major metro areas (and especially outside them). This poor infrastructure leads to slower and more expensive at-home connections thus providing a real opportunity for smart phones in these markets. As of 2012, 116 million Americans owned smartphones. This figure is up from 93.1 million just a year earlier. 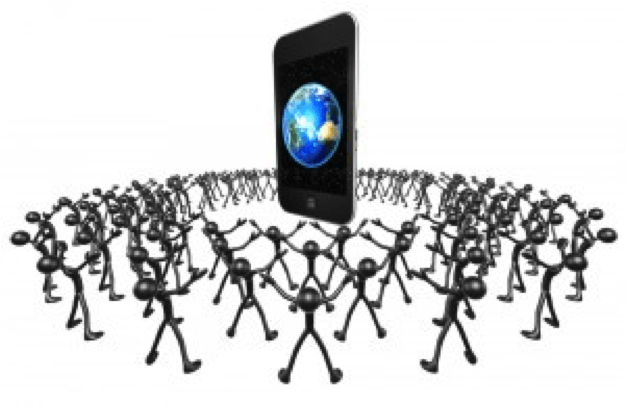 2013 will prove to be the tipping point as smartphone usage is expected to reach nearly 60%. This figure alone should justify the expense of a mobile strategy by most businesses. Mobile users that find your business online have a conversion percentage nearly three times higher than the same search done on a desktop or laptop. Why? Mobile users are on the go. When you’re browsing, you grab the laptop and start researching or just satisfying curiosity for products or services. When you grab your smartphone to search, you have a specific intent in mind, whether it be food, clothing or an oil change for your car. Mobile searchers are buyers, assuming you can meet their needs. The figure is expected to top 220 million within the retail market alone. In marketing, retailers drive trends, and if they’re spending that kind of money in mobile, maybe it’s time to evaluate your strategy. If these stats aren’t mind boggling enough for you, try this one on for size. If you take a look at the world’s 7 billion plus people, more of these people own smartphones than toothbrushes. How’s that for mind boggling? Chris Warden is a seasoned entrepreneur and CEO. Starting his entrepreneurial career at age 19, he has performed in numerous capacities owning and managing both offline and online companies. Chris now serves as CEO of Spread Effect, a leading content marketing and publishing company. You can connect with Chris via Linkedin, Twitter - @ChrisWarden_SE, or Google+.